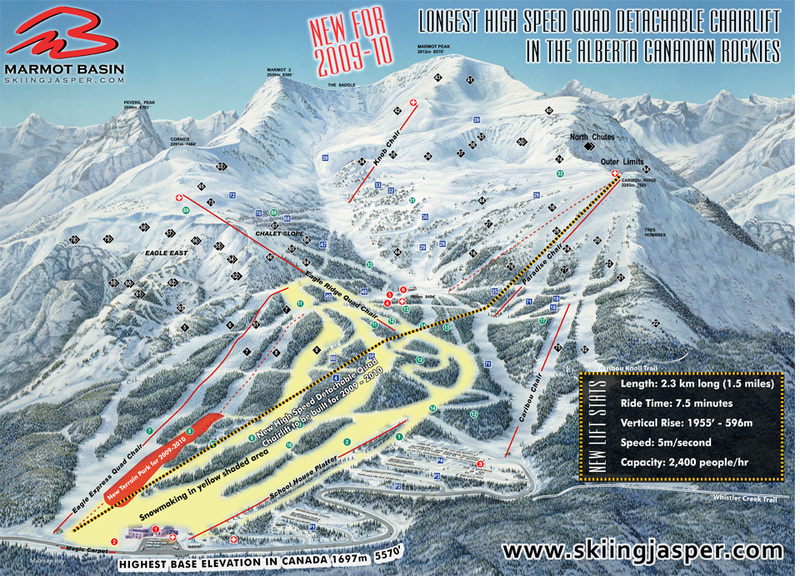 You will find you'll be spending more time on your favourite run than in a lift line at Jasper Marmot Basin. The winter season is the off-peak time for Jasper! Jasper is a haven for wildlife in the winter time. Expect to see Elk and Deer at the very least! When you come to Marmot Basin in Jasper National Park you'll understand what it really means to get away from it all. 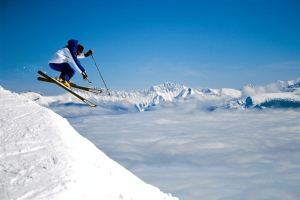 You can experience what a true mountain ski adventure is meant to be about at Jasper Marmot Basin. Jasper Marmot Basin's new, 8 million dollar Leitner Poma high speed quad chairlift is 2.3 kilometers (1.5 miles) in length and whisks skiers and snowboarders up 1,955 vertical feet in just 7.5 minutes. This only means one thing - less time riding lifts and more time skiing and snowboarding! Pre-book your ski lift passes through us as part of a ski package and kids ski free or receive at least 10% off your Adult ski lift passes. Pre-book your ski and snowboard rentals through us as part of a ski package and kids rent free!